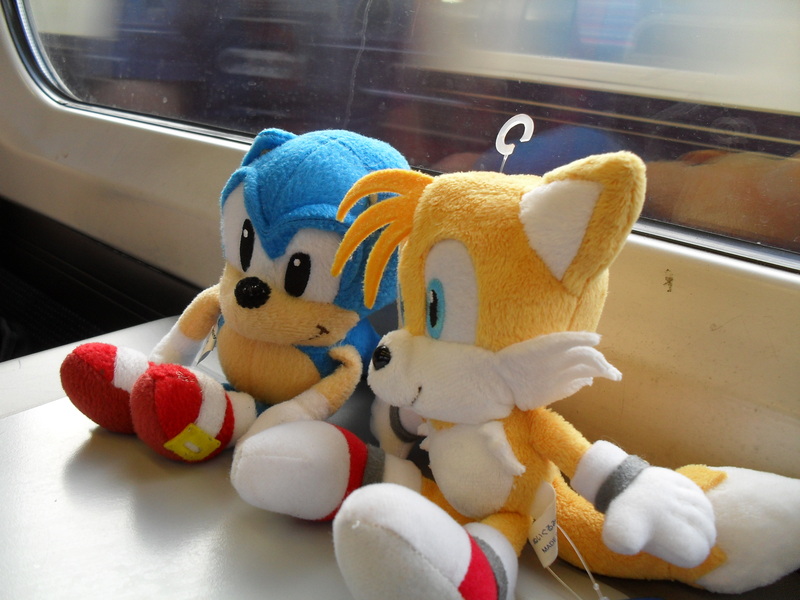 Most people that know me or meet me learn quite quickly I am a HUGE fan of Sonic the Hedgehog. I cut my gaming teeth on Sonic 1 & 2 with the Mega Drive Santa got me for Christmas 1993, from that point I lived and breathed Sonic as a kid. I read the comics, watched the cartoons, brought the sweets and even had the Pajamas to boot. Since then Sonic has suffered a number of highs and lows. I’ve seen the series through the good times like Sonic Adventure, and accepted the lows such as “Sonic the Hedgehog” on Xbox 360 and Playstation 3. He may of suffered some setbacks but Sonic is still my hero. It seems theres a fairly large fandom that feels this way too, back in 2008 Sonic Stadium webmaster Svend Joscelyne and Sega Europe community manager (and webmaster of Sonic Wrecks) Kevin Eva joined forces with a number of other fans to create Summer of Sonic. Since it’s inception it’s attracted the likes of Richard Jacques (who composed the soundtracks for a number of Sega titles including Sonic 3D and Sonic R) and Nigel Dobbin (comics artist – Beano, Digimon, Sonic the Comic). Previous years I missed due to work or due to venue and date being announced a bit late. This year however the date and venue were announced early enough that I could finally go. I picked a corker of a year to go too, not only were E3 demos of “Sonic 4” and “Sonic Colours” available (I’ll get to those in a bit) but Segas in-house band “Crush 40” were in attendence too and were due to give a concert right at the end of the evening too! Sonic 4 clearly was the main attraction for most fans, including myself. It was the E3 build with 3 acts of Splash Hill Zone including the boss. The game is bright and colourful, sporting some wonderful design that very much harks back to the original Mega Drive titles. Sonic looks great and his updated move set with homing attack and wall jumps are welcome additional elements. While it was fun, the physics did feel somewhat off at points and the acts were a bit on the short side. However Sega did delay Sonic 4 from summer to winter release in order to tweak it, so hopefully these issues will be already addressed once it comes out this winter. Sonic Colours DS is an interesting title, developed by Dimps (the same team that handed the Advance series and Sonic Rush), it has many familiar elements from both series, including the boost bar and 2.5D design. Gone are the tricks which are replaced by a speedy downward kick used to smash baddies and get extra bounce out of springs. The alien “Wisps” that Sonic has come to the aid of provide him with special abilities too, one turns him into a drill, while another turns him into a fireball that can be shot though cannons and self-destruct (without damage). While it certainly has all the hallmarks of a Sonic Rush title, it plays a little different and theres a bit more variation on routes and a few more platform bits. I watched some people play the Wii version and general verdict was that it was a lot like the daytime levels in Unleashed, which sounded pretty good to me. Both releases are shaping up well and are due November 12th in Europe. With games out the way – the rest of the day was dedicated to signings and meeting new friends. The lovely Nigel Dobbin was there signing for people, doing sketches for “Sonic the Comic” fans and sold some fantastic prints and original art from the comics to boot. Crush 40 took a signing session and were a lovely duo. Jun Senoue composed a lot of music for the series since Sonic 3 and did an exclusive acoustic session in the middle of the day, while Johnny Gioeli took part in some of the stage events. At the end of the day Crush 40 performed a 70 minute set of their greatest hits from the games along with some original tracks too. It was a stunning set and despite technical issues, the band gave an almost flawless performace. Ending with fan-favorite Live & Learn, an amazing end to a fantastic day! Next year is Sonic’s 20th and to celebrate, Summer of Sonic 2011 will be held on June 25th. With Crush 40 hoping to return and the growing prominence of the convention. I’m sure next year will be a blast. Previous Previous post: Lady Geek TV #4 – How do you keep bored kids entertained? Next Next post: We made the final cut for the Cosmo Awards!